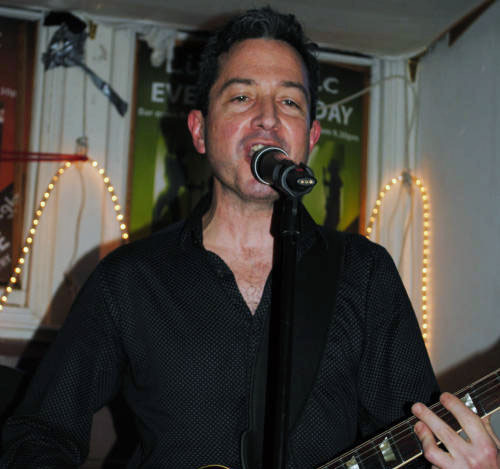 Sandy discovered the joys of rock’n’roll in his late teens in his native Edinburgh, picked up a guitar, formed a band while still at school – and has never lost his passion for the music that started it all. Although he’s sung and played all kinds of music, in all kinds of bands, in every decade since the 60’s, he keeps coming back to the classic sounds that gave birth to a musical revolution. Along the way, he picked up on the strong influence of “the white man’s blues” – aka country music – on all the great performers of the late 50’s and early 60’s. Hog Wild’s music reflects that influence – Elvis and Chuck Berry rub shoulders with Johnny Cash and Hank Williams. Dave’s family comes from the hills of West Virginia. Yes, his mother was born a coal miner’s daughter. Dave was born in Texas City, Texas, on one of his family’s frequent moves, Dave has since lived all over the US, the Caribbean and Europe, picking up various bits of music as it came trickling through the transom. The guitar is the heart and soul of rock’n’roll, and Dave gives Hog Wild its heart with hot licks and soulful solos. He loves all kinds of music. Hog Wild takes him home. 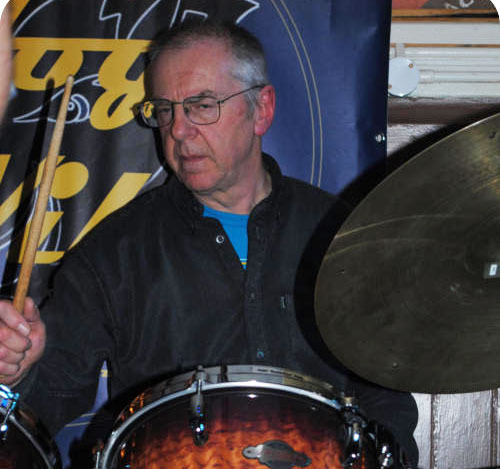 London-born Andrew has been playing drums for more years than he cares to remember – but he remembers them all! His rock-solid beat keeps the band tight, and the other three Hogs ride the rhythmic wave he provides. Surrey-based these days, Andrew has played all over the UK, and among his many other claims to fame, he was a drummer at the London 2012 Olympics, and has shared a bill with rock legends Queen. 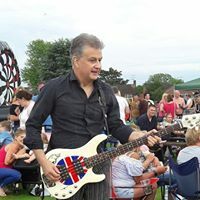 Pete joined Hog Wild on bass in July 2017. 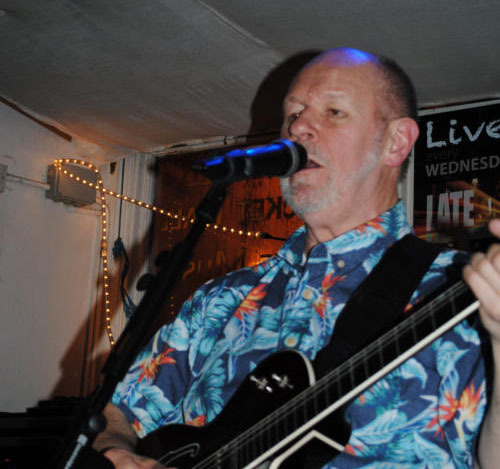 He started his musical career in the late 1970’s, playing bass with the Windsor-based four-piece band Tarragon, performing an authentic mix of sixties and seventies songs; he then had many years with the successful party and function band Replay. He later formed the six-piece group Telstarz, where he played lead guitar with a repertoire of popular sixties songs. Pete also currently plays bass with The Bourne Again Shadows. We can’t leave this guy out of the picture! Derek was a founder member of Hog Wild, and was instrumental in shaping the band’s direction as we developed our sound. 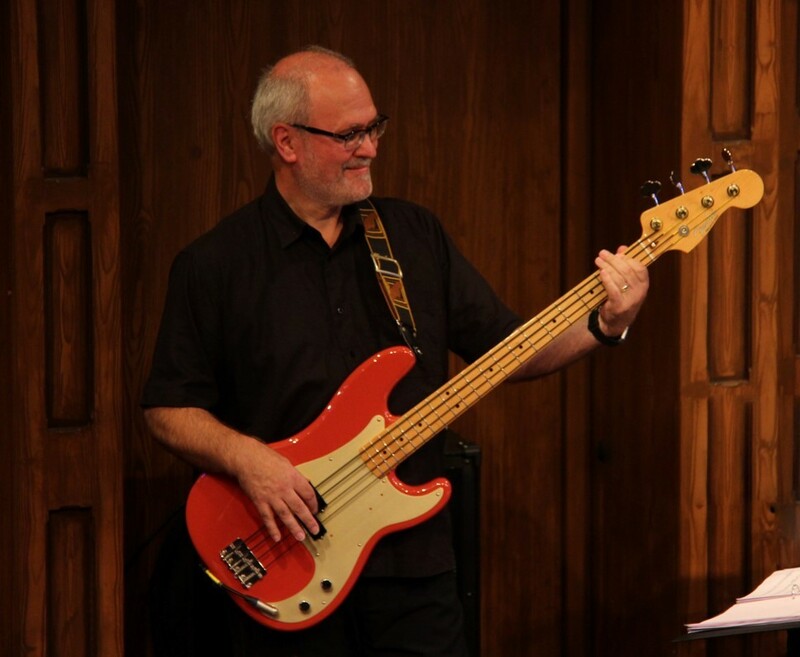 Although he isn’t a full-time member any more, having moved to another part of the country, he still sits in for us on bass from time to time, when Pete isn’t available. Born in the Rock ‘n Roll backwater of Bolton, England, the Derek the Bass Hog cut his teeth in a wide range of rock bands across the UK. The rock-inspired pumping bass he delivers helped make Hog Wild one of the most exciting bands around – try not to tap your feet! A 20 year stay in Basel, Switzerland exposed the Swiss to British Rock n’ Roll and Blues at its best in Boss Blues (www.bossblues.com) and Killadillas (www.killadillas.com).After a brief sojourn in Canada and a stint with the Canadian band Kenny Young and the Prairie Dogs, Derek is now forming a new band on the Welsh / English border.